Sky is betting on a virtual reality future, rolling out a new VR app and accompanying promotional campaign starring David Beckham. Sky VR: can the broadcaster make VR work where 3D didn't? So far, the new app acts as a marketing tool for Sky's TV content across its sports and entertainment channels. The app opens with the promotional film, "Closer", which sees Beckham ambling through recent sporting moments, such as Leicester City's Premier League title win. The film is shot as 360-degree video, allowing viewers not only to follow David Beckham, but also the surrounding action. There are a number of other 360-degree films on the app promoting Sky Cinema, Sky News and Sky Sports coverage of wrestling, F1 and cycling. That includes footage from the premiere of Star Wars: The Force Awakens, which launched on the rebranded Sky Cinema in June. There's also a Sky News report from the Calais refugee camp and a VR rendering of a scene from the film Suicide Squad. The app won't remain a marketing tool, with Sky commissioning exclusive programming such as an English National Ballet production of Giselle. The broadcaster launched a dedicated VR arm, Sky VR Studio, in March. Sceptics might question whether VR is a sensible investment for Sky, given the broadcaster shut its dedicated 3D channel last year. A spokesman said: "VR and 3D are completely different mediums. "We appreciate it is early days for VR, but we are really excited about the opportunities. Given Sky’s track record on innovation, it makes sense for us to be involved." There will be additional programming on the app under the Sky VR Exclusives label, produced either in-house or by third-party partners. 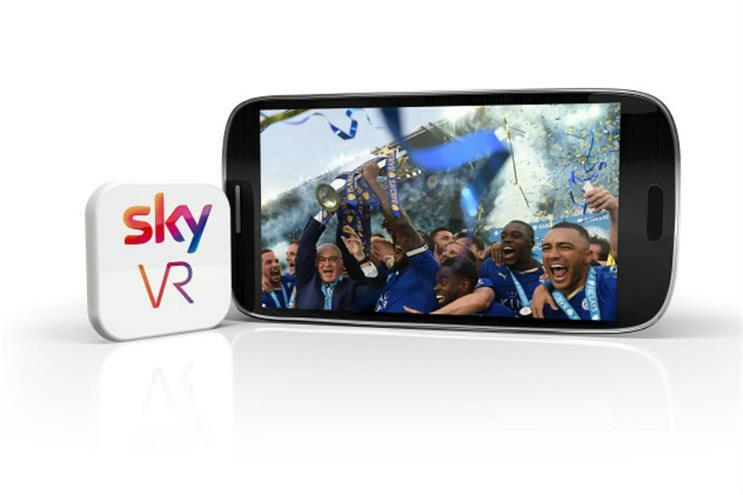 Sky's VR app will also eventually expand beyond 360-degree video into true virtual reality. Gary Davey, managing director for content at Sky, said: "Interest in VR content is building, generating more excitement every day. "We are just at the beginning of our VR journey at Sky, launching Sky VR studios earlier this year, and we are already breaking new ground. Now comes the creative challenge of deploying this immersive experience with engaging storytelling. I am a big believer." Sky is promoting the app by giving away Google Cardboard VR headsets at The O2 on 20 October. The promotional film was created with VR specialists Surround Vision.